Sustainability according to Forbo Eurocol Nederland B.V.
Sustainability is reflected first and foremost by the Eurocol products themselves. Most of our powdered products, adhesives, levelling and filling products are now low in particulates. Additionally, Eurocol products also have low VOC emissions thanks to innovative technologies and improved recipes, which make the use of volatile organic compounds unnecessary. Professionals using our products benefit from these advantages every day. Practically no dust is released when mixing the products, and the air quality they work in is more pleasant and healthier. Additionally, Eurocol products are delivered in handy, lightweight packaging units, allowing the back to be spared. Other forms of product improvement are the lightweight products, such as the 765 Ecolight powder tile adhesive with DUBOkeur®. Not only low in particulates, but also lower in weight, resulting in less raw material consumption and lower energy consumption due to transportation and logistics. Furthermore, our product developers also pay attention to reducing the use of clean drinking water. 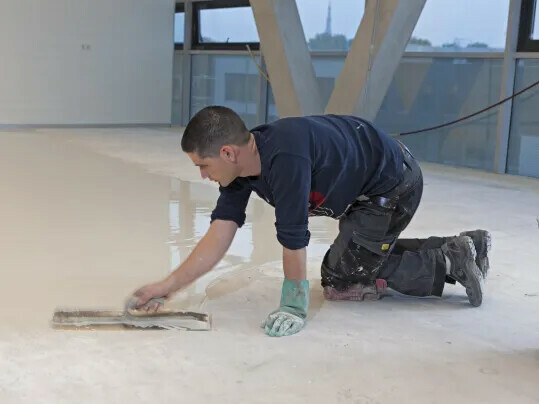 The improvement of various levelling products has resulted in less water being needed to mix these products, without compromising on ease of processing or the end result. All Eurocol packaging displays which environmental requirements our products meet. The Eurocol environmental care system is certified by Lloyds, according to international standard ISO 14001. Material safety data sheets are available for all Eurocol products, in accordance with EU directive 1907/2006 (REACH). The Forbo Eurocol product range provides options with GEV EMICODE EC1 plus logo for every type of floor covering. Additionally, a number of products are certified according to Blauer Engel, while others bear the DUBOkeur® quality mark. Low particulate products are recognisable thanks to a logo on the packaging. Eurocol products manufactured and sold in large volumes are certified by external certification agencies. Because such processes are relatively costly, Eurocol products manufactured in smaller quantities are certified according to our own environmental quality mark. The eco-logo, represented by a stylised green leaf. This Forbo Eurocol Nederland B.V. sustainability logo adheres to similarly strict assessment criteria. By competing testing in-house, the price of a Eurocol product with an eco-logo is not increased unnecessarily, which is an attractive option for our clients. 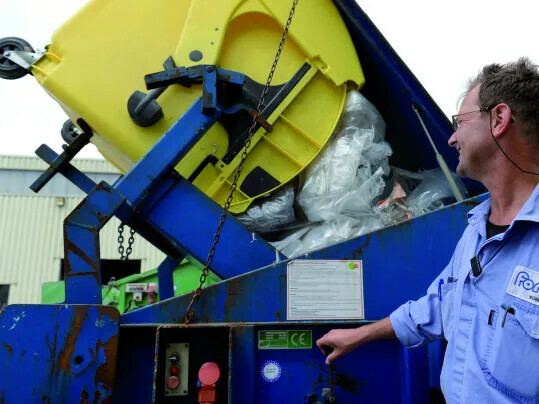 Forbo Eurocol Nederland B.V. separates waste streams throughout the company. Coded waste receptacles are present in the factories, the laboratory, the warehouse and the offices for separate collection and disposal of paper and cardboard, plastic, glass, rubble, filling materials, etc. In terms of production, Forbo Eurocol Nederland B.V. actively contributes to reuse by choosing products and raw materials obtained via recycling. Since 2014, the best-selling paste tile adhesive 682 Majolicol has been supplied in buckets made of 90% recycled plastic. Available in packages of 14, 7, 4 and 1.5 kilograms. These buckets are recognizable thanks to their attractive industrial grey colour, and replace the white buckets used until that time. Following in the footsteps of 682 Majolicol, more and more Eurocol (adhesive) products will be supplied in these environmentally-friendly recycled buckets. Sustainability is part of the Forbo Eurocol Nederland B.V.'s long-term policy ambitions. Concrete goals and ambitions are formulated, along with starting points and evaluation moments. We use this to make our results in the areas of suitability and corporate social responsibility clear to ourselves and our customers. The latter is crucially important, because growing numbers of clients are consciously choosing contractors and subcontractors with a demonstrably eco-friendly footprint. This makes it important to be able to demonstrate how you work and what materials and methods you use. Certified Eurocol products can help contractors convince their clients. Thus, the sustainable Eurocol products not only provide ecological, but also economic added value. In 2011, Forbo Eurocol Nederland B.V. had the CO₂ footprint for the entire factory complex determined, in cooperation with engineering agency Arcadis. This was the starting point and reference level for monitoring energy consumption and CO₂ emissions. It provides hard data on energy-saving investments that we have implemented in the factory and surrounding buildings. Examples include: more energy-efficient production lines, better climate control and management, energy-saving lighting including motion sensors in the buildings, and installation of solar panels on roofs to provide in our own electricity production. Improvements in logistics also contribute to lower CO₂ emissions, as transportation movements are limited to what is strictly necessary thanks to optimal planning. 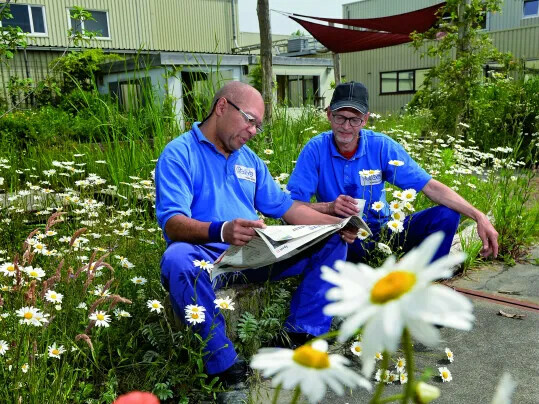 In order to underline the green philosophy of the Eurocol brand, an ecological garden was planted on the Wormerveer factory grounds in 2012. A blossoming oasis of wild plants, shrubs and trees, where Eurocol employees can enjoy their breaks. The garden also attracts birds, butterflies, frogs and salamanders. The garden is a green calling card for visitors. It represents all of the environmentally-friendly initiatives and improvements that often occur behind the scenes on the factory grounds.